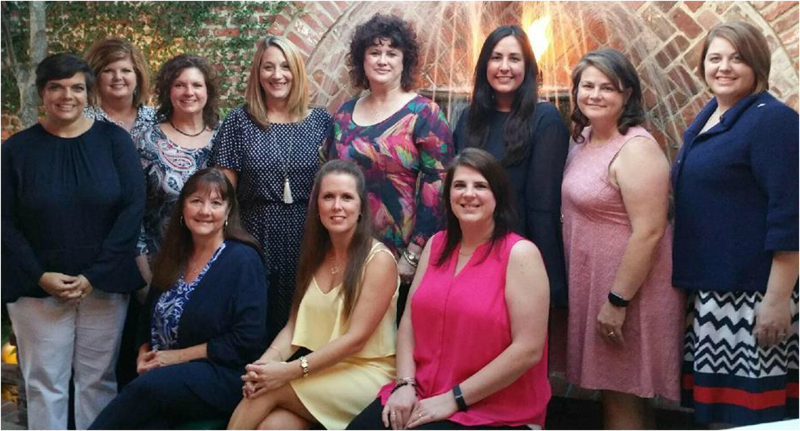 The MS Gulf Coast Chapter was chartered on December 2, 1978, and belongs to NAWIC’s South Central Region. (Texas, Oklahoma, Louisiana, Arkansas, Tennessee, and Mississippi) Gulfport, MS is the chapter’s “home base”, although we do have members from other cities along the MS Gulf Coast as well as members to the North and East of us up to a few hours away. A noteworthy bit of history is the first “Block Kids Contest”, was initiated by Erma Lamousin, a MS Gulf Coast Chapter member, and it was held in Biloxi. Currently the MS Gulf Coast Chapter has about 15 members and represents: General Construction, Road Building/Paving, Civil Work, Insurance, Construction Industry Services/Professional Organizations, Roofing, Precast Construction, and Construction Education. General Membership Meetings are not held in January, September and December due to special membership functions. The location of the meetings is at local restaurants or businesses and changes from month to month. General Membership Meetings consist of a business meeting as well as a guest speaker and/or and educational topic, an occasionally a “field trip” to an industry business or jobsite. The meetings are free to attend, however, your food and drink is at your own cost. Non-restaurant meetings are typically “BYOL” (bring your own lunch). Please notify the chapter President, Cherish Smith, cherish.smith@rac.com or 228-896-4000, in advance if you plan to attend a General Membership Meeting for head count purposes. For questions about NAWIC, or our chapter’s meetings, functions, or service projects, please contact Cherish Smith, Chapter President, at cherish.smith@rac.com or 228-896-4000.